Why do Saliva and Tongue Smells Badly? Do You Notice Often That Your Saliva is Causing Bad Breath? Don’t Panic – This Might be Why. Why does saliva smell often and cause bad breath? What are the causes of halitosis? What is the best thing to eat to get rid of bad breath? What Are the Foods that can help get rid of bad breath? How to Treat Bad Breath at home? sometimes saliva smell and often link to bad breath. Before we go any further, let’s remember that there’s nothing wrong with that unless you have oral diseases. Sometimes body parts are a little but stinky. Smelling your saliva on the back of your hand and you quickly jump to a conclusion that you have bad breath is not trustworthy. You really need better prove like making use of a small hand-held tester, like Tanita breath checker. For more information take a look at this page – Bad Breath Tester – Which is best? The cause of bad breath is more likely to be an overgrowth of natural bacteria at the back of the tongue. You can treat this yourself at home! Research studies show that 3 sulfide compounds referred to as Volatile Sulfur Compounds are responsible for bad breath. They are hydrogen sulfide, methyl mercaptan, and dimethyl sulfide. Under normal circumstances, Saliva itself shouldn’t smell, however, this sulfur of a thing live normally on the surface of the tongue and inside the throat can lead to an odor. If it appears that your saliva has an odor it’s more likely to be Halitosis. Halitosis (bad breath) is often caused by these-producing bacteria that are in the mouth and on the surface of the tongue. 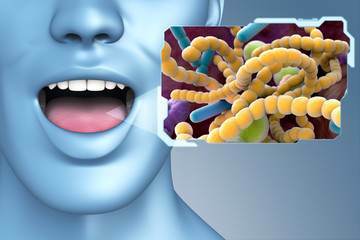 Sometimes, these bacteria start to break down proteins at a quick rate and odorous volatile sulfur compounds (VSC) are released from the back of the tongue and throat. Halitosis is not infectious. According to Medical research, about 2.4% of the adult population suffers from bad breath. 3. Smoking – which starves the mouth of oxygen. Foods – such as onions, garlic or cauliflower, which induce certain odors. However, these effects are only short-lived. Saliva is more than 98% water. Interestingly, the majority suggested that saliva contains bacteria when in fact it actually has antibacterial properties as part of its constituents. This does not mean that it is sterile or free from, but certainly it would be very low on the list of culprits (the bacteria of which), is causing bad odor. It is much more likely that what you smell is the mouth-bourn bacteria from poor oral hygiene, illness, infection either body, sinus, or due to poor dental follow-up, and possibly, the fall-out from using certain medications that change the constituents of one’s saliva (but not odor causing). These changes can cause decay of tooth enamel and of course result in poor dental health as well. The factors that affect the smell of saliva generally have to do with diet, health, and oral hygiene. Eating a lot of fats and refined foods may also give saliva an unpleasant scent. Gasses from the stomach can permeate the mouth, leaching into the moisture there. Those with digestive problems should gradually incorporate more fiber intake into their diets, lower fat intake, and snack on fruits and vegetables instead of foods filled with empty calories. This often helps the body expel waste that may be giving the mouth an unpleasant odor. So, let’s take a quick look at a few simple ways of testing for bad breath, and why they don’t work well at all. Cupping your hand over your mouth and breathing out through your mouth, then sniffing. All that happens here is that you smell your own hand. A better way is to lick the back of your hand with your tongue – but not the tip of your tongue. Try to use the middle bit of your tongue, as far back as possible. Then wait 10 seconds. Now try sniffing your hand. You may be able to detect a bad odor. Also, get a plastic spoon, and turn it upside down. Now try to scrape the very back of your tongue, as far back as possible. You will probably be able to scrape off a little bit of white coating. Try sniffing this. If it smells bad, then you probably have bad breath. The following foods could provide relief for an hour or two until you are able to attack the underlying cause — odor-producing bacteria in your mouth. Green tea. Green tea contains catechin, a powerful antioxidant that can get rid off bacteria. So, the bacteria in your mouth can be reduced by drinking green tea. Apples and pears. “Fruits help with the production of saliva, which is essential for the normal flora of the mouth and throat. Also, celery, carrots, and cucumbers. These enhance the production of saliva and serves as the bacteria rinse agent. Oranges, melons, and berries. These fruits, in particular, are rich in vitamin C. Vitamin C not only is helpful for keeping bacteria away, but also helps reduce gum diseases and gingivitis, which also can cause bad breath. Almonds and other nuts. The fiber-rich content of fruits, vegetables, and nuts also acts on teeth and has been shown to keep odor-causing bacteria from staining teeth. You need to Floss first, then brush, shortly after each meal, shortly after your last meal. Use Fluoride toothpaste and a soft brush. Don’t eat again before sleeping, drink only water or water-based drinks without sugar. Ask your relative if you breath is now better. If all these steps fail to, visit a dentist as soon as possible.